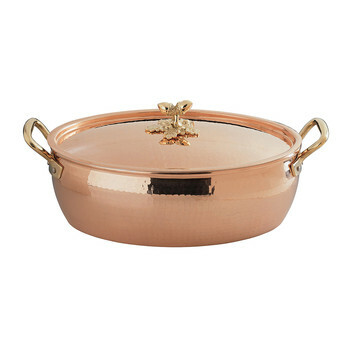 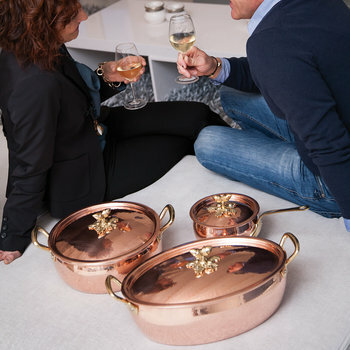 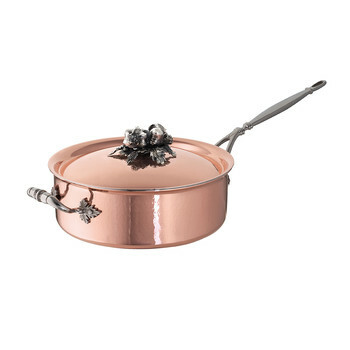 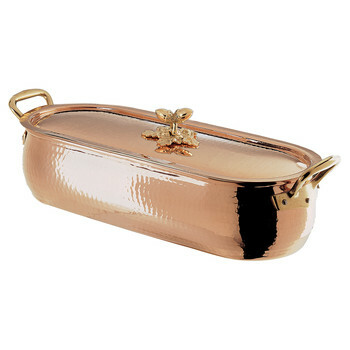 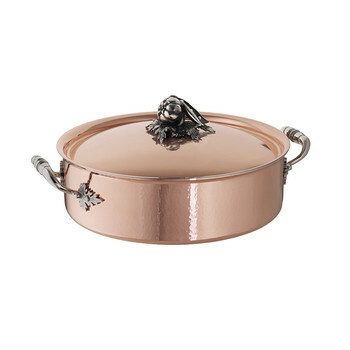 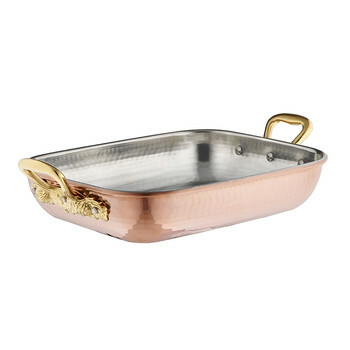 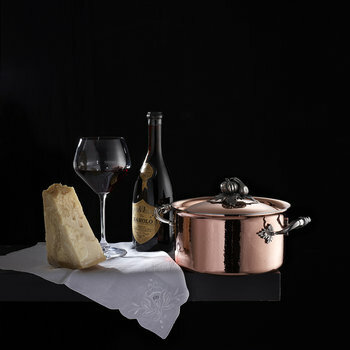 The roots of the Ruffoni Company can be traced back as far as 1931, when Antonio Ruffoni made his first copper cooking pan and ignited the family’s love affair with the elegant material. 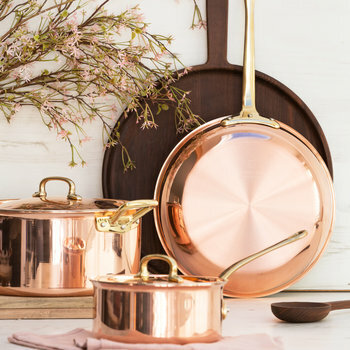 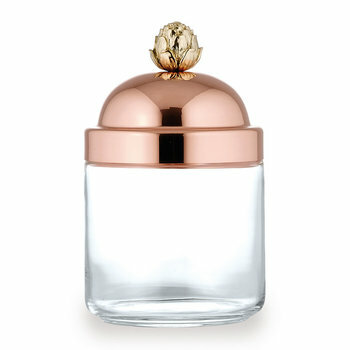 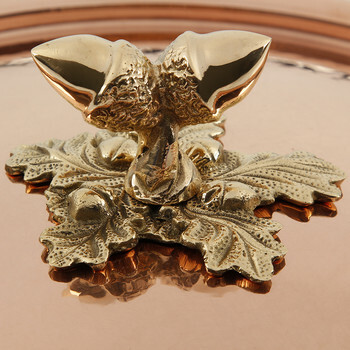 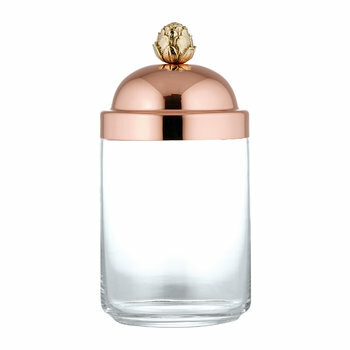 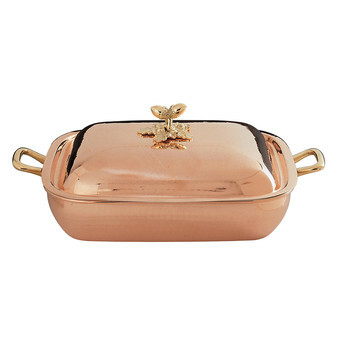 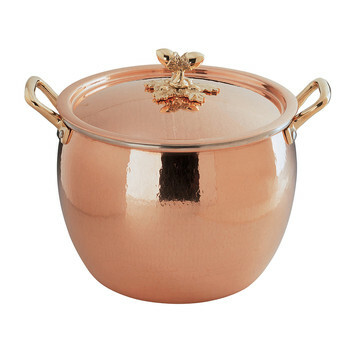 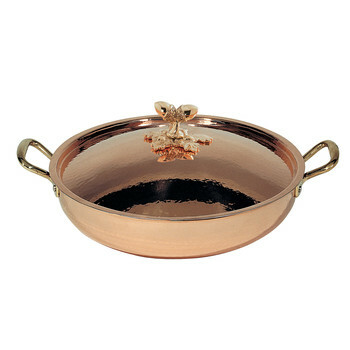 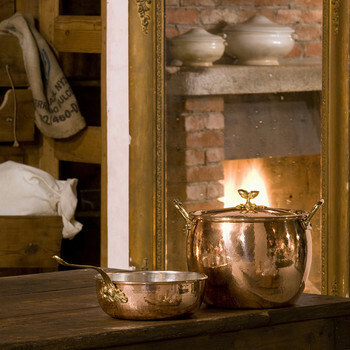 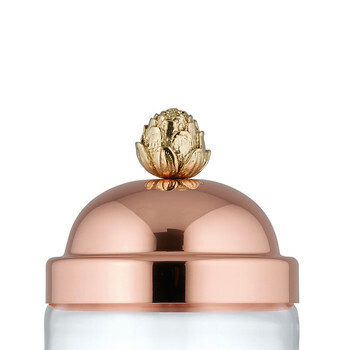 It wasn’t until 1962 that the brand was formed as son Fremide transformed his own passion for copper, basing the company in the ancient town of Vaemenia; a traditional home to coppersmiths for many years before located on the shore of the quiet Lake Orta. 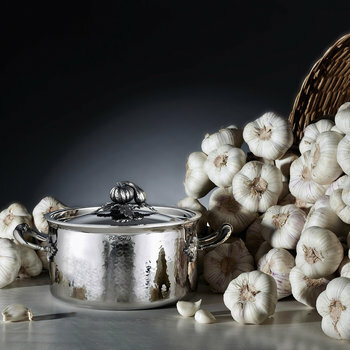 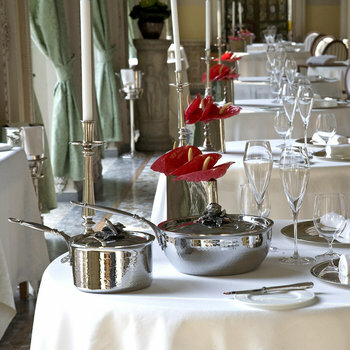 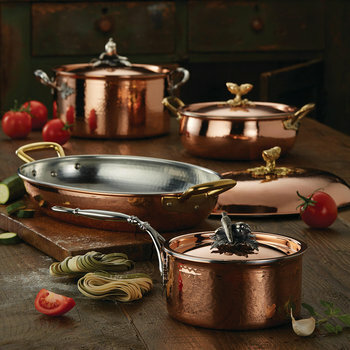 Choosing exacting manual techniques over inexpensive, chemical and mechanical processes, every detail of Ruffoni cookware is designed for optimum efficiency and ultimate usability. 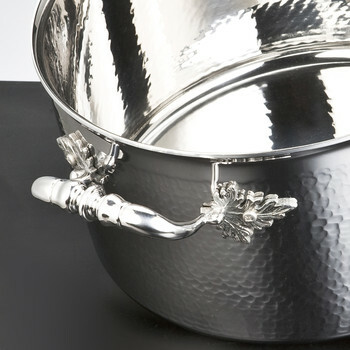 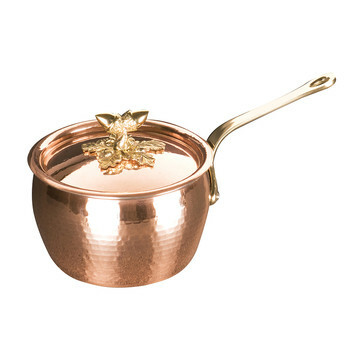 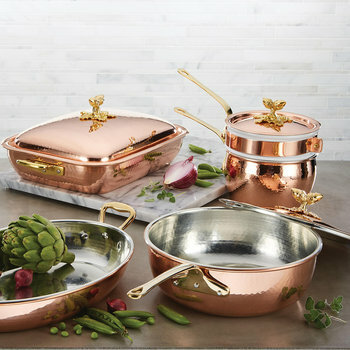 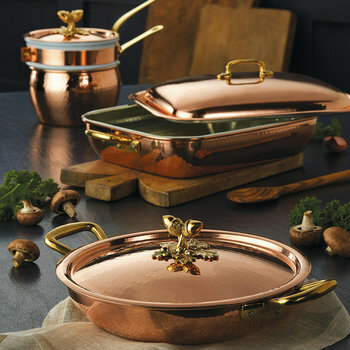 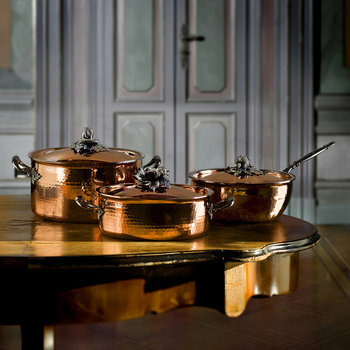 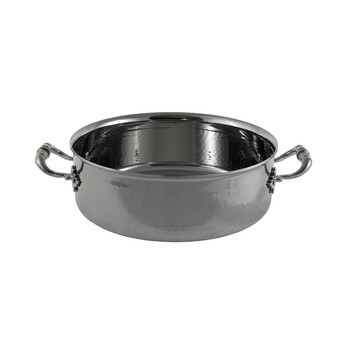 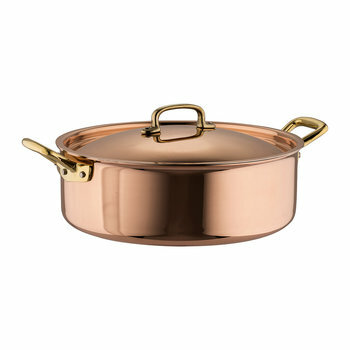 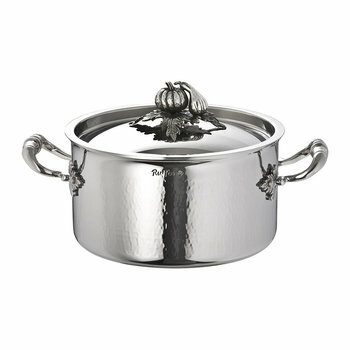 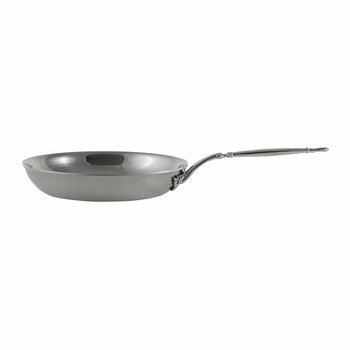 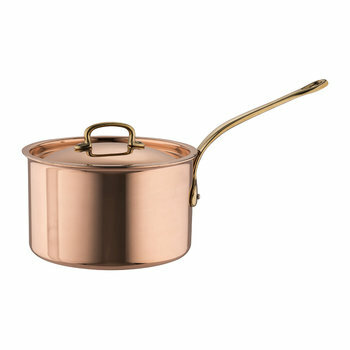 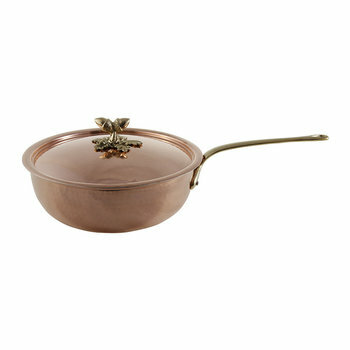 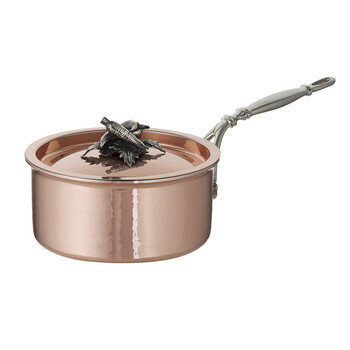 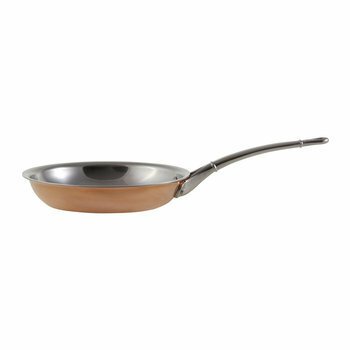 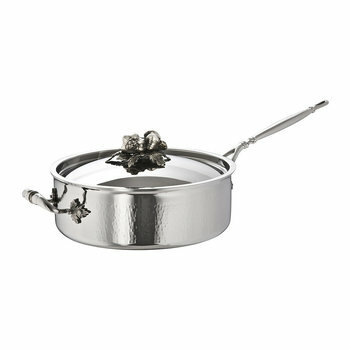 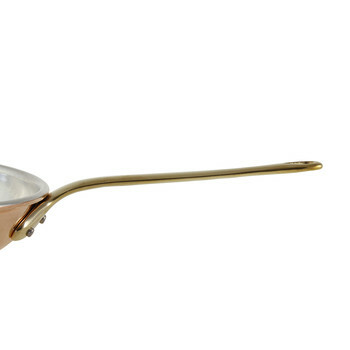 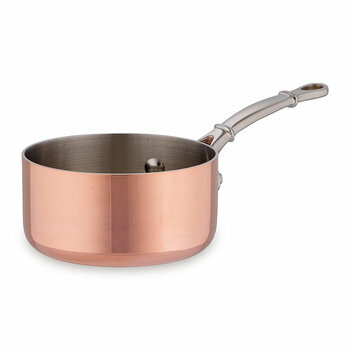 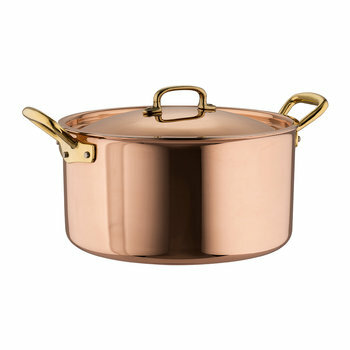 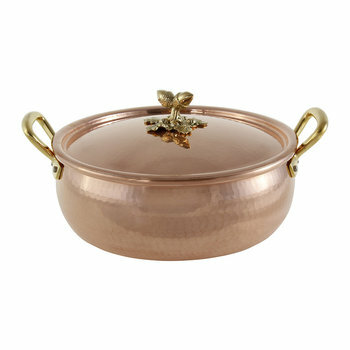 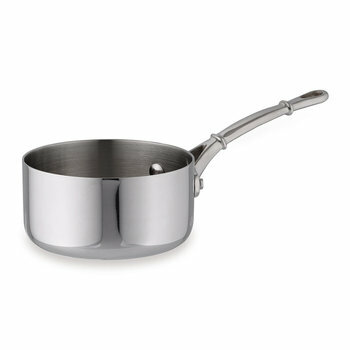 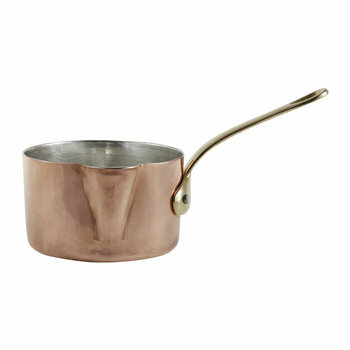 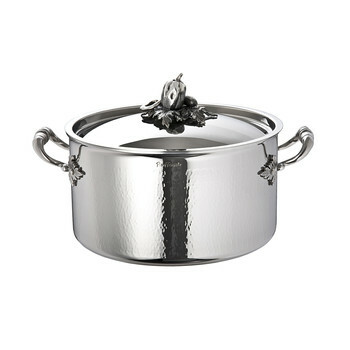 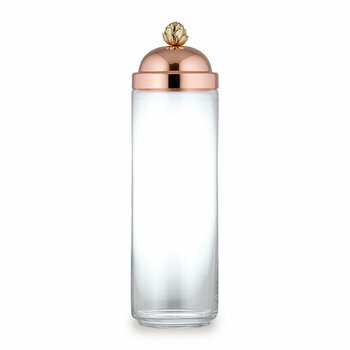 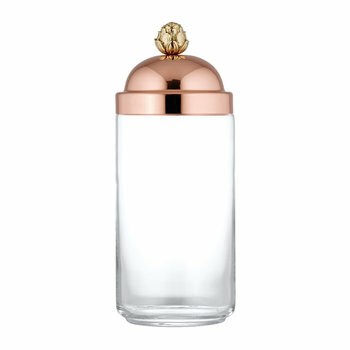 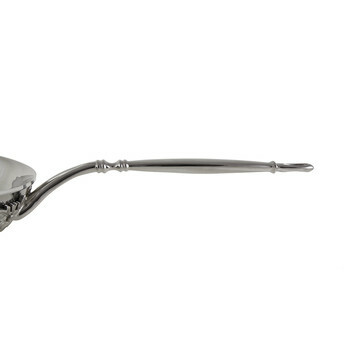 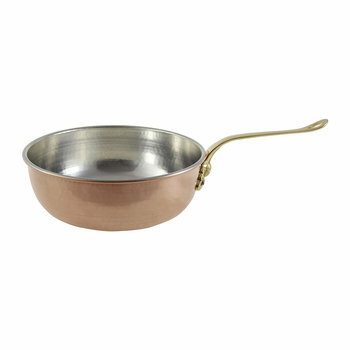 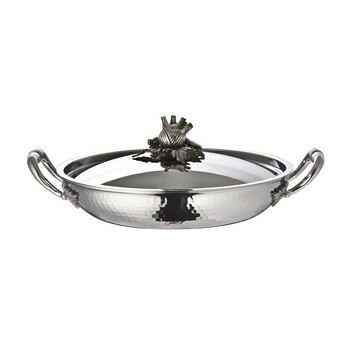 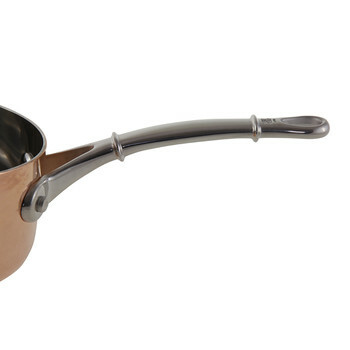 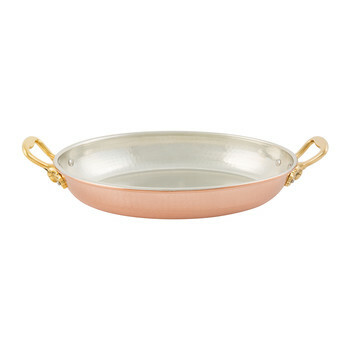 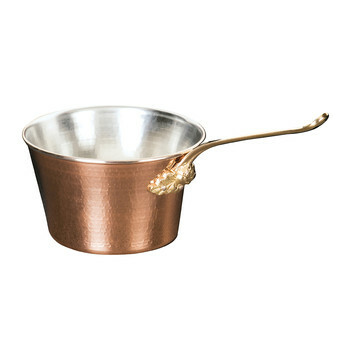 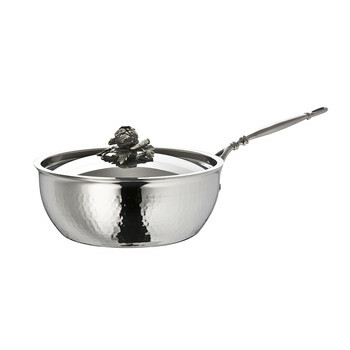 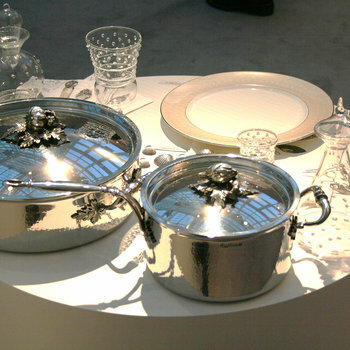 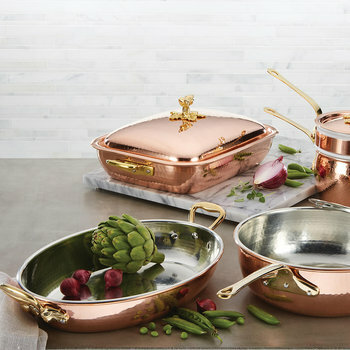 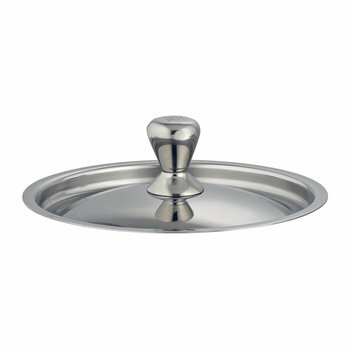 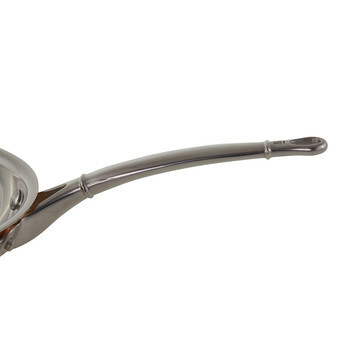 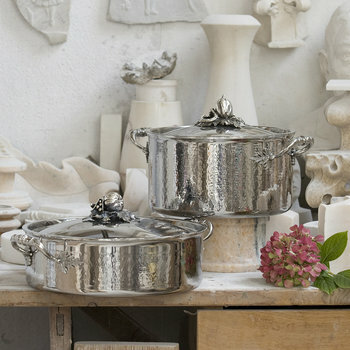 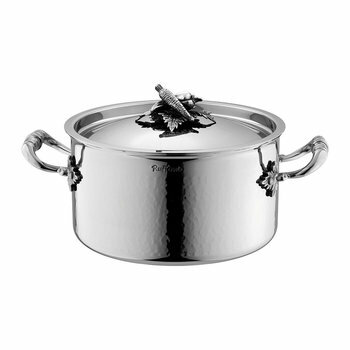 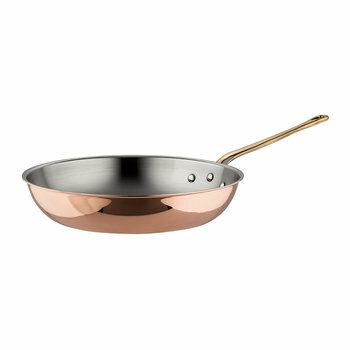 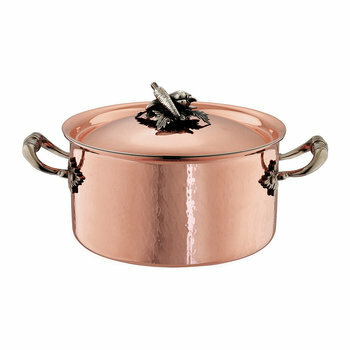 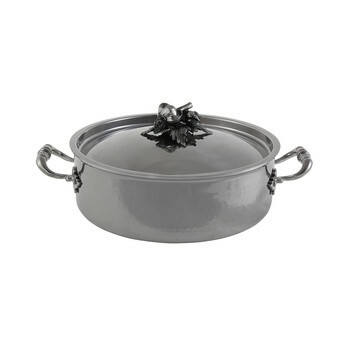 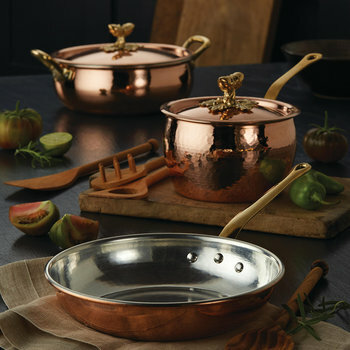 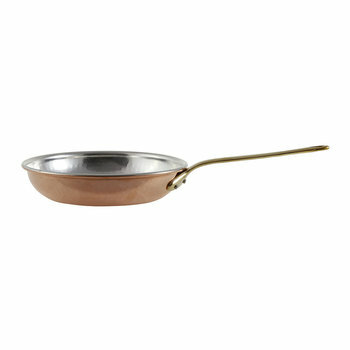 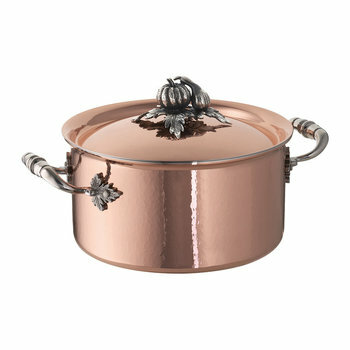 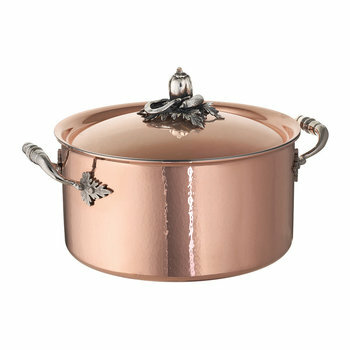 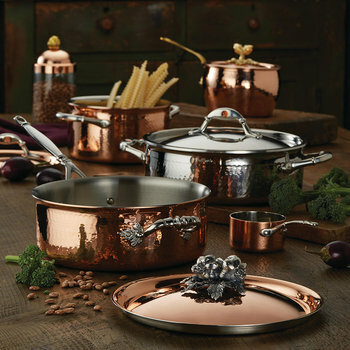 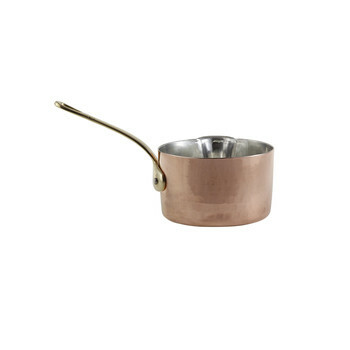 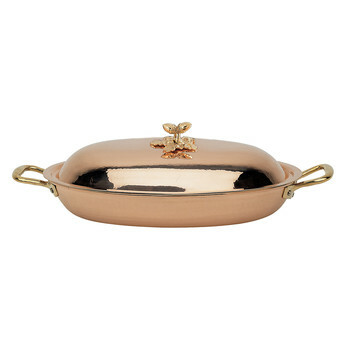 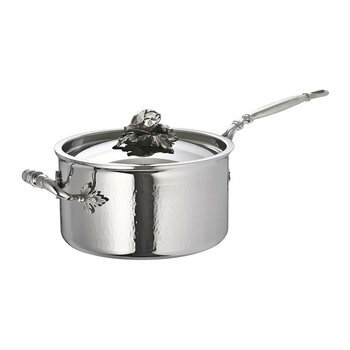 Manufacturing to the highest standard of quality, complying to the world’s FDA lead and cadmium regulations in addition to using recyclable materials where possible, each piece of cookware provides flawless heat conduction and superior ergonomics compared to mass produced products; creating a lasting impression in any home.